Site code ACT given by Corpus of Maya Hieroglyphic Inscriptions (1999:187-189; 2012; 2016); alternative site code ATE from Corpus of Maya Hieroglyphic Inscriptions (1982:185-187), cited by Riese (2004) and Mathews (2005); alternative site name ‚Akte‘ used by Moriarty (2004). Location was recorded Karl Herbert Mayer with a handheld Global Positioning System (GPS) (Mayer 2000). 1982 Corpus of Maya Hieroglyphic Inscriptions. Volume 3, Part 3: Yaxchilan (by Ian Graham). Cambridge, Massachusetts: Peabody Museum of Archaeology and Ethnology, Harvard University. 1999 Corpus of Maya Hieroglyphic Inscriptions. Volume 6, Part 3: Tonina (by Ian Graham and Peter Mathews). Cambridge, Massachusetts: Peabody Museum of Archaeology and Ethnology, Harvard University. 2014 Tres fragmentos de la Estela 5 procedente del sitio Acté, Petén, Guatemala, y el pronombre ergativo de la segunda persona plural en la lengua jeroglífica maya. Mexicon 36(2): 35–39. 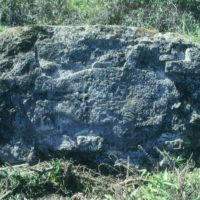 2000 Stela 1 of Acte, Peten. Mexicon 22(4): 72–74. 2004a Between the Center and the Periphery in the Land of the “ik” Lords: Recent Investigations at the Satellite Sites of Motul De San José, Petén. In XVIII Simposio de Investigaciones Arqueológicas en Guatemala, 2004, edited by Juan P. Laporte, Bárbara Arroyo, and Hector E. Mejía, pp. No. 39. Museo Nacional de Arqueología y Etnología, Guatemala. 2004b Introducción a las investigaciones del Proyecto Arqueológico Motul de San José en el 2003. In Proyecto Arqueológico Motul de San Jose, Informe #6: temporada de campo 2003, edited by Matthews D. Moriarty, Jeanette E Castellanos, and Foias, Antonia, pp. 1–14. Tulane University, New Orleans, LA. 2004 Excavaciones alrededor de las estelas de Akte, Petén, Guatemala, 2003: Akte Operaciones 4A, 5A y 6A. In: Proyecto Arqueológico Motul de San Jose, Informe #6: temporada de campo 2003, edited by Matthews D. Moriarty, Jeanette E Castellanos, and Foias, Antonia, pp. 149–162. Tulane University, New Orleans, LA. 2012 Akte: Settlement, Chronology, and Monuments at the Minor Ceremonial Center Akte in the Motul de San José Periphery. In: Motul De San José: Politics, History, and Economy in a Classic Maya Polity. Vol. , edited by: Foias, Antonia E., pp. 250-274. Maya StudiesUniversity Press of Florida, Gainesville, FL.